Supply chain agility has emerged as a leading competitive feature for organizations operating in evolving business environments. According to a recent survey, 97 percent of supply chain operators experience some type of challenge as they continue to move product to reach customer demands. Organizations need to embrace the concept of agility in their quest for a sustainable source of competitive advantage. Supply chain agility can be described as a company’s ability to quickly adjust tactics and operations within its supply chain. Surveys have shown that about 80% of supply and demand can be planned perfectly in advance. But how do you handle the remaining 20% that can never be predicted? The missed shipments, late materials supply, or the unexpected demand peak. The answer is an agile supply chain. Research highlights that there are five dimensions of agility that are common not only to military and sports science but also to the supply chain world: alertness, accessibility, decisiveness, swiftness, and flexibility. Each dimension represents a capability that companies must develop to achieve the desired level of agility. Supply chain agility is manifested through a company’s ability to quickly detect changes, opportunities, and threats (alertness); quickly access relevant data (accessibility); make resolute decisions about how to act (decisiveness); quickly implement those decisions (swiftness); and modify its range of supply chain tactics and operations to the extent needed to implement its strategy (flexibility). Honda, Apple and Zara are some examples of companies who have been successful with agile supply chains. The entrepreneurial culture of these companies puts emphasis on having their supply managers and teams come up with creative solutions in challenging times. This is what makes the difference. An agile supply chain requires an appropriate blend of coordination, communication and speed in procurement, inventory, assembly and delivery of products and services. It is also increasingly recognized that successful agile supply chains depend on a number of management issues such as organizational resistance to change, inter-functional conflicts, joint production planning, profit sharing, team oriented performance measures, shifts in channel power, information sharing, real time communication, and technical compatibility. Companies who place an emphasis on having supply managers and teams develop creative solutions in the time of challenges, prove to be more effective and ready to deal with the changes. By training employees to be more responsive to the evolving market conditions, they are better equipped to work flexibly and creatively and perform well in their respective jobs. This type of proactive approach leads to better analytical and decision-making skills. It ensures continuous growth, development and adaptability to meet the challenges caused by the changing market conditions. For example: Investing in an innovative training solution can lead to a more engaged and productive workforce. This will allow them to enhance their knowledge and skills while being prepared to face any kind of adversity. Many companies are forecast-driven rather than demand-driven. By using information technology to capture data on demand directly from the point-of-sale, best performing organizations are able to instantly respond to demand. Collaborative networks should be used by organizations to coordinate fulfillment with customers. Maintaining a good supplier relationship can remove latency and problems that can often occur at the supply chain boundaries. By creating real-time visibility into planned and actual inventory across all channels, your operational teams can make accurate fulfillment and delivery promises across multiple order channels and systems. 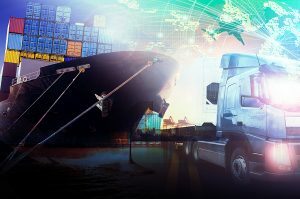 As technology advances and the Internet of Things (IoT) continues to change the logistics industry, there are more tools to achieve visibility from concept to cash. Supply chain technology can help shippers become more agile by predicting or notifying stakeholders of changes or possible disruptions. Reports have shown that in the past years, 75% of companies experienced at least one major supply chain disruption. Having technology in place can provide the visibility to prevent disruptions or have the resources synchronized to respond rapidly if disruptions do occur. In supply chain, agility is desired to stay competitive and react to an ever-changing industry and market. The lack of agility can lead to increases in risk and expenses, while diminishing customer service and competitive advantages. Supply chain agility allows organizations to accelerate time to market, eliminate waste and errors, and reduce operational and product cost. To achieve this, business professionals must know their supply chain and successfully implement strategies to achieve agility.